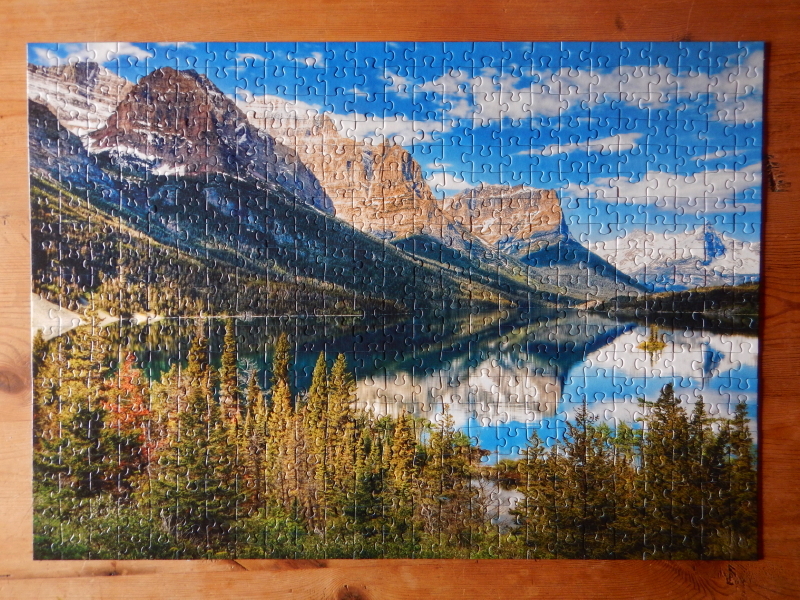 It’s a little embarrassing how much I enjoyed the ease of large-sized puzzle pieces which allowed me to polish off this beauty in a day at the lake. I guess a mental break from my routine was due. My brain soaked up the puzzling like a dry sponge takes on water. Nothing like putting things in order and getting a pretty picture to appreciate as a result. It was a nice antidote for the constant onslaught of changes and challenges life routinely serves up. The convenience of the large pieces were key to enabling me to get this assembled in a single weekend. It definitely changed both the visual and tactile features of puzzling that appeal to me, but after finishing as quickly as I did, I rate the tradeoff as an acceptable compromise. With my project complete by early in the morning yesterday, we had plenty of time to get out for a walk in the middle of the day to take in the beginnings of fall colors around the lake. The dominance of gray in the sky and gray reflected off the surface of the water, served to mute the true beauty of the few trees showing good fall color. On our drive home, between periods of sun and one rain shower, we noticed the intensity of color ebbed and flowed inconsistently. Brilliance increased for a while, and suddenly disappeared. Then, as we made our way close to home, the fall colors seemed to pick up again. One tree on our land caught my attention last Friday, because of the way it stood out as an early adopter. There are a few more trees that decided to join the fun over the weekend. 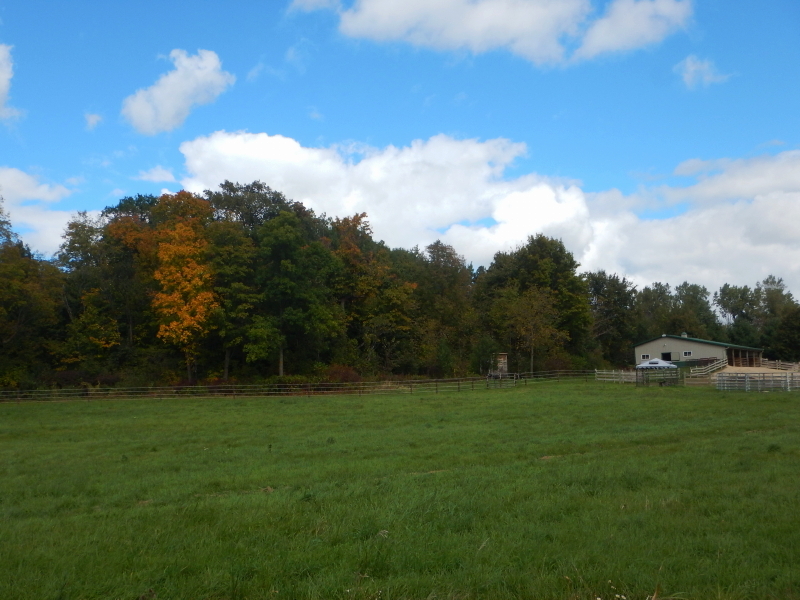 One maple tree by the hay shed is beginning to show deep red in the top third of its branches. It’s fair to say, the colorful fun is getting ready to break out all over around our place in the very near future. Sure hope we get some sun and blue skies to enhance the annual spectacle!